Mr. Swayze represents clients in a variety of matters including major contractors and owners involved in construction disputes, various entities with arguments arising out of complicated financial investments and transactions, parties involved in variety of employment disagreements, and shareholders involved in disputes over control, management, and intellectual property of commercial entities. He has also helped several clients enforce their rights as creditors in Bankruptcy Court, both in New York and New Jersey. 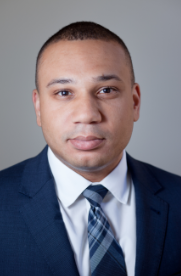 Mr. Swayze has significant experience in Federal, State, and Administrative Courts in both New York and New Jersey, as well as in arbitration. Mr. Swayze earned his Juris Doctor from Boston College Law School. He received his A.B. from Harvard College. Mr. Swayze is a member of the bars of the states of New York and New Jersey, and is admitted to practice before the U.S. District Courts for the Southern District of New York, the Eastern District of New York, and the District of New Jersey.